At the bottom of the above document we find Cookson heavily involved in the East, which given we find ourselves in the position of losing all Western manufacturing, to the East, suggests Cookson along with many London based corporations, are helping this drive move along steadily. 1] In 2004 the team at Enthone Singapore celebrated their business becoming the first chemical supplier in Asia to achieve ISO 14001 certification. 2] The Ceramics division manufactures crucibles used in the production of photovoltaic cells which are in turn used in solar panels like these to transform sunlight into electricity. 3] Employees at Vesuvius India provide generous assistance to many community projects. 4] Cookson Precious Metals supports after school programmes and organisations which work with inner-city children. 5] From 1999 to 2004, the rate of injuries and illnesses resulting in absence from work improved by 44%. 6] Electronics division employee Tim Wagner and his daughter Heather recently spent eight days in Guatemala helping with community projects. 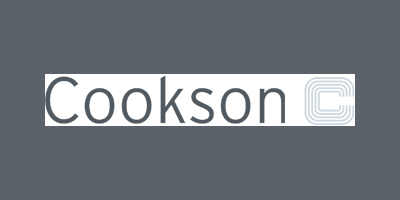 7] The number of Cookson locations with ISO 14001 certification continues to increase. 8] Six Sigma Black Belt Training taking place for Cookson employees in Kowloon, Hong Kong. 9] Many of Cookson’s businesses are at the forefront of developing lower environmental impact solutions for their customers and society in general. 10] Members of the Enthone-Cookson Electronics management team participating in a two-day team building exercise in Guilin, China. To support the fact Cookson is scooping up Western companies and moving them to the east, and not without causing vibrations enough to accuse of monopolising : Cookson V United States District Court : In Cookson Group Plc Purchase Of Foseco Plc The conclusion of the above case was : 4 Apr 2008 – Acquisition of Foseco by Cookson Group On 4 April 2008 Cookson Group plc successfully completed the acquisition of Foseco plc by way of a court approved scheme of arrangement. The recommended cash offer was announced on 11 October 2007 and the transaction required clearance by the competition authorities in the EU and the US and both Foseco and Cookson shareholders, all which were obtained in March 2008. Foseco is highly complementary to Cookson’s existing ceramics division with both businesses supplying products and services into the foundry and steel-making industries. Cookson In The US Cookson Buys Mora Minn In spite of The District of Columbia courts, The deal goes ahead, such is the power of Cookson Plc, a company so involved in the destruction of the West, it certainly deserves your attention.